A four-day trek that features spectacular scenery and passes through charming villages, this famous trail finishes at the incredible Machu Picchu. Spend your days hiking through challenging but stunning terrain, taking in views of snow-capped mountains, lush forests and ancient ruins. On the final day, wake up early to enjoy a breathtaking view of the ancient citadel as the sun rises and clears the surrounding fog. One of the most awe-inspiring man-made structures on the planet, make sure Machu Picchu is on your list if you’re travelling to Peru. An icon of South America, the Amazon rainforest covers nine countries and is home to more than 30,000 plant species and a diverse array of wildlife. Immerse yourself in a wild world; spot sloths high up in the trees and jaguars lurking in the shadows. Peru is one of the best places to visit the Amazon jungle. It is more accessible than the Brazilian Amazon and there is plenty to see. There are many ways to see this incredible and unique ecosystem– explore on tour, reside in the treetops in luxury accommodation or navigate the waters of the Amazon on a cruise. This picturesque lake is thought to be the birthplace of the sun, according to Andean belief. Boasting spectacular views of the Andes, here you will find over fourty islands. During your stay, don’t miss out on visiting the floating islands of the Uros. The islands are weaved by the community from the totora reeds that grow in the lake. Also make sure you visit the island of Taquile, which offers breathtaking views of the lake and is known for its artisanal crafts. A bustling metropolis that boasts a rich history, you can’t miss Lima when travelling through Peru. This city has it all– delectable cuisine, beautiful colonial architecture and a deep connection with its Inca past. Known as the “Gastronomical Capital”, ensure you indulge in some of Lima’s delicacies, such as the famous ceviche and antichuchos. Make sure you visit the Plaza del Armas, the Basilica Cathedral of Lima and the bohemian district of Barranco. This historic city is situated in the southern coastal region of Peru and offers a range of exciting experiences. Arequipa boasts a rich history and impressive scenery. Visit the quaint and historic Monasterio de Santa Catalina, as well as the Museo Santuarios Andios. Here the “Mummy Juanita” is housed, who is thought to be over 550 years old. For nature lovers, the hike up the iconic Volcan Misti is a tough but rewarding one and promises breathtaking views. If you’re after something a little less challenging, Salinas y Aguada Blanca National Reserve showcases the native vicunas in this incredible landscape. The gateway to Machu Picchu, Cusco is a must-do for anyone in Peru. 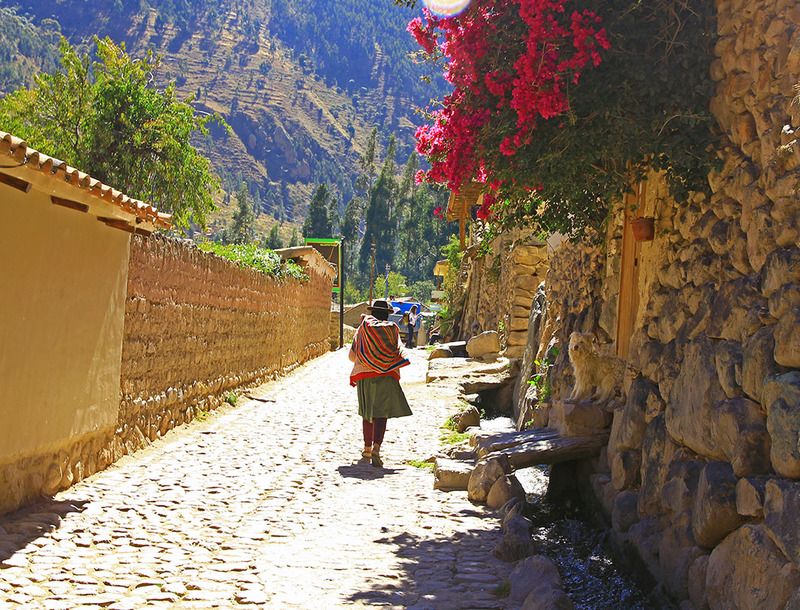 Delve into the history of this fascinating country, visiting captivating sites such as Coricancha where a colonial convent and church sits atop 10th century Inca ruins. Also see the ancient ruins of Sacsayhuaman and Tambomachay. Back in the city, wander through the Plaza de Armas and see the striking Cusco Cathedral. The Sacred Valley is home to some of the most iconic and spectacular Inca ruins. Here you will find the Ollantaytambo, Moray and Pisac ruins, both massive and impressive structures that present an insight into the scale and ingenuity of the Inca Empire. Also see the Salineras of Maras, where thousands of white salt pools are dug from the side of the mountain form a remarkable sight. Finally, make sure you stop by the Museo Inkariy, where you can gain an understanding of the pre-Hispanic cultures of Peru. If you’re looking for a rainforest experience that is off the beaten track, Manu National Park is it! Recognised as one of the most bio-diverse areas in the world, this park offers over 1000 types of birds, 200 species of mammals and many more interesting and exciting creatures. It is well known for its jaguar presence, as well as its caiman and macaw presence– this park really does have it all! If you’re interested in witnessing this stunning ecosystem for yourself, make sure you plan ahead because permits are strict. A journey back in time, you can’t miss out on a visit to the vibrant streets of Trujillo. Situated close to the Chimu capital of Chan Chan and other pre-Incan archaeological sites, spend your time learning the rich history and strolling past the colourful buildings of this city.